David Kinsey is the Owner, Director, and Administrator of Veritas Classical School. He graduated from Bryan College in 1973 with a BA in Bible, and from Reformed Theological Seminary in 1988, with a MA in School Administration. He has over 30 years of experience as an educator, with 23 of those years in school administration. As a teacher, he taught 6th – 10th grade level math courses, Spanish and history. He coached basketball for several years as well. 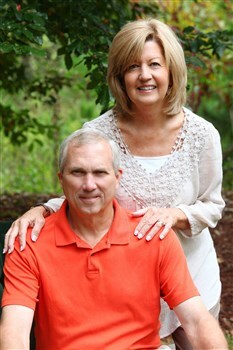 Dave served for 15 years as the Headmaster at Fellowship Christian Academy in Roswell, during which time the school grew from 160 students to over 600 in the K – 12 program. He was also instrumental in the formation of the school at Perimeter Presbyterian Church in Duluth and has always been a strong supporter of the homeschool movement. Mr. Kinsey believes his role as an educator is to partner with parents in providing the best possible education for their children. Bev Kinsey is co-owner and Assistant Director of Veritas. She is also a graduate of Bryan College with a degree in elementary education. She has over 20 years of experience in traditional and homeschool education. During her years in the traditional classroom, Mrs. Kinsey taught Kindergarten and 1st Grade. She was also trained as an educational therapist and began a program at Fellowship Christian Academy (FCA) with the National Institute of Learning Disabilities. She served at FCA for 14 years and was promoted to the position of Elementary Principal. She spent her time reviewing and improving curriculum, writing a detailed character curriculum, and creating a K – 8 scope and sequence for each discipline. Under her leadership, the elementary program flourished, and she created a nurturing environment where children felt loved and challenged. Dave and Bev are the proud grandparents of nine grandchildren!